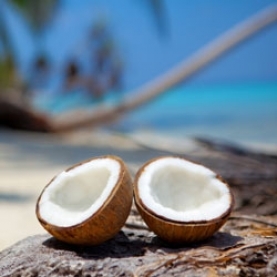 Coconut Oil is great for dry skin and dry/damaged hair. A wonderful emollient that can be used all over the body. This coconut oil is edible. Coconut oil melts at 76 degrees, below that it will be the consistency of butter.